Thank you everyone for making my little linky party the hot place to show off your rad upcycling skills. I just wanted to feature a few ideas that I am going to be trying out very soon. 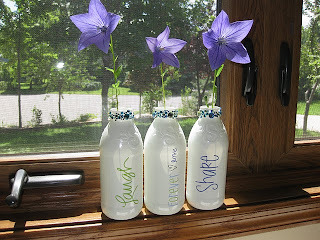 I love, love, love these recycled Snapple bottles over at "The Hand Me Down House". In fact I loved them so much that I bought a few random bottles to repurpose at a recent garage sale. Fabric covered boxes rule. I have a ton of them, and wow it gets expensive buying fabric covered cardboard. So when Kimberly from Bugaboo, Mini, Mr., and Me posted this tutorial I just about lost it. Duh how could I not realize that instead of recycling those cardboard boxes I could be covering them to make something as awesome as these car caddies. Boxes and Caddies and Bins Oh My! Another one of those "Why did I not think of this" moments came when I saw Sewing & Growning's crib sheet to toy box. It is truly a cool way to use that favorite crib sheet your little one has outgrown. Thank you everyone for participating. you truly all are amazing inspirations. With out further ado...it's time for Upcycled Awesome, your green linky party dedicated to upcycled crafts and more. 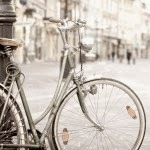 As always you have until Sunday at Midnight to post your upcycled project.